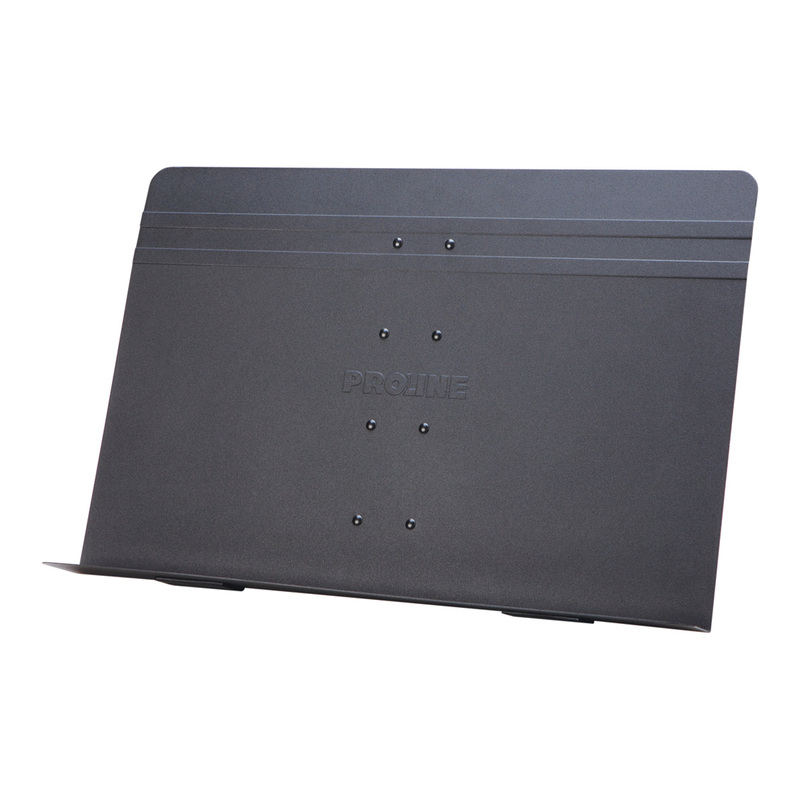 The Proline PL53 Tabletop Sheet Music Stand is the desktop version of Proline’s popular PL48 conductor/orchestra music stand. 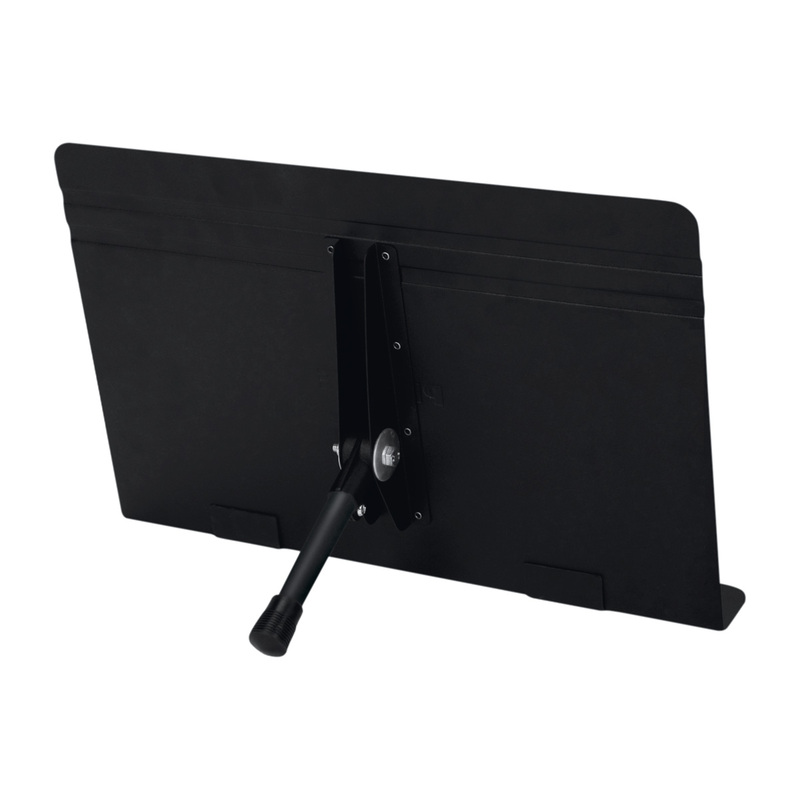 It is a perfect stand for use in home music studios, classrooms, and any situation where a desktop music stand is convenient. Rubber pads under the shelf and a rubber foot on the support provide slip-free stability and scratch protection for tabletops. 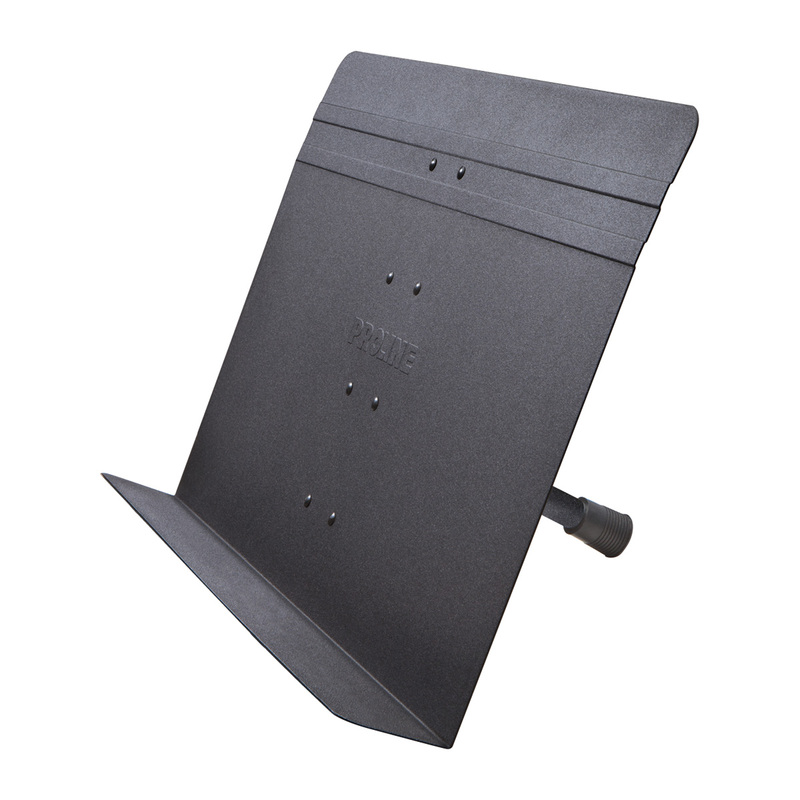 The Proline Tabletop Sheet Music Stand has a durable, non-reflective powder coat finish and sturdy construction that ensure years of trustworthy service. The deck is 20″W X 12.75″H, with a shelf depth of 2.25″ that provides plenty of room to hold enough sheet music for an entire performance.